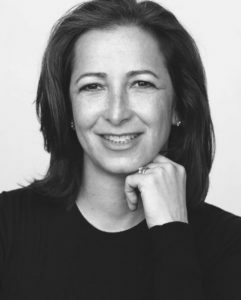 Professor Molly Shoichet holds the Tier 1 Canada Research Chair in Tissue Engineering at the University of Toronto. She has published over 530 papers, patents and abstracts and has given over 325 lectures worldwide. She currently leads a laboratory of 25 and has graduated 148 researchers. She founded two spin-off companies, is actively engaged in translational research and science outreach. Dr. Shoichet is the recipient of many prestigious distinctions and the only person to be a Fellow of Canada’s 3 National Academies: Canadian Academy of Sciences of the Royal Society of Canada, Canadian Academy of Engineering, and Canadian Academy of Health Sciences. Dr. Shoichet was the L’Oreal-UNESCO For Women in Science Laureate for North America in 2015 and elected Foreign Member of the US National Academy of Engineering in 2016. She holds the Order of Ontario, OntarioŠ—Ès highest honour and is a Fellow of the American Association for the Advancement of Science. In 2013, her contributions to Canada’s innovation agenda and the advancement of knowledge were recognized with the QEII Diamond Jubilee Award. In 2016, Dr. Shoichet became a Foreign Member of the United States National Academy of Engineering (NAE). In 2014, Dr. Shoichet was given the University of Toronto’s highest distinction, University Professor, a distinction held by less than 2% of the faculty. Dr. Shoichet received her SB from the Massachusetts Institute of Technology (1987) and her PhD from the University of Massachusetts, Amherst in Polymer Science and Engineering (1992). Our research is focused on cell and drug delivery to the brain, eye and spinal cord and to strategies to deliver drugs more effectively to cancer cells.